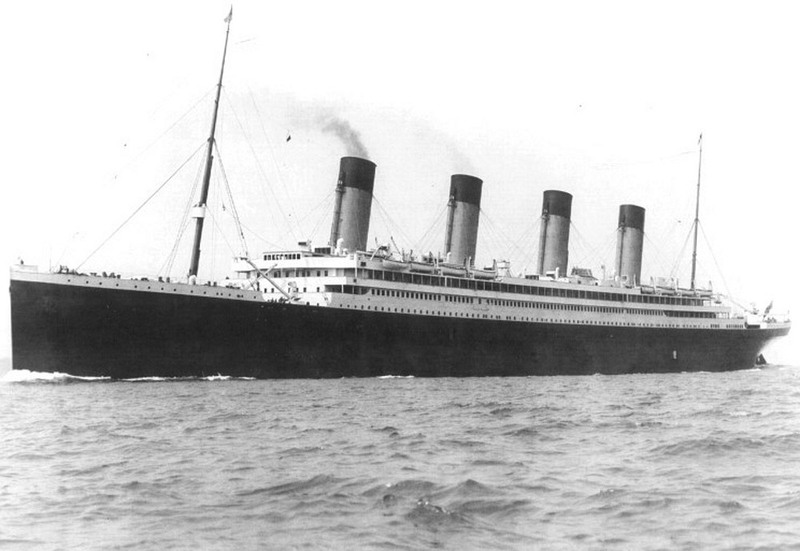 The sinking of the Titanic is one of the best remembered maritime disasters in history. A grand luxury ship touted as the safest vessel afloat, carrying over two thousand passengers, many of which were wealthy and powerful members of society, sinking on her maiden voyage was an unimaginable event. The loss of the Titanic, for many, was symbolic of the fragile nature of society itself, and science’s valiant but futile attempts to triumph over nature. But Titanic wasn’t the first casualty suffered by White Star Line, the British shipping company that owned the luxurious liner. If you look at White Star Line’s history you will see a string of mishaps spanning several decades until the big one of April 14, 1912. RMS Olympic, one of the three identical ships built by White Star Line, undergoing sea trial in 1911. She belonged to same class of ships as the infamous RMS Titanic. As White Star Line's reputation for comfort grew, ships became bigger and more opulent. 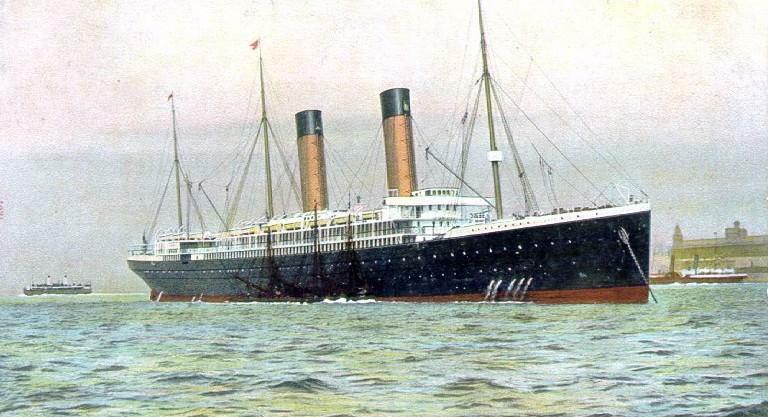 The Titanic and her two sister ships, Olympic and Britannic, were intended to be the largest and most luxurious ships to operate on the North Atlantic. The first-class cabins had lavish interiors and private bathrooms, large and spacious dining rooms, swimming pools, Turkish baths, gymnasium and many other amenities. Even third-class passengers enjoyed reasonable accommodation with shared private cabins when other ocean liners of the time had large dormitories. After the Titanic sank on her maiden voyage, the two remaining vessels underwent many changes in their safety provisions. Only the Olympic turned out to be profitable for White Star Line, remaining in service for 24 years until White Star merged with its competitor, Cunard, in an effort to stay in business during the Great Depression of the 1930s. The Britannic was requisitioned by the British government to serve the First World War and was used as a hospital ship. She hit an underwater mine in the Mediterranean Sea and sank in 1916. White Star wasn’t always making luxury ships. When the shipping company formed out of the ashes of another, in 1845, Australia was in the middle of a gold rush, and tens of thousands of prospectors were leaving UK for the gold fields of Australia every month. White Star’s owners, John Pilkington and Henry Wilson, decided to serve this lucrative route to Australia. Their fleet initially consisted of nine chartered sailing ships—modest in size but fast enough to make the journey to Australia in a little over two months. That’s an impressive speed considering that a typical journey from UK to Australia took around three months. RMS Tayleur was the largest ship in White Star’s fleet. She was 230 feet long and weighed 1,750 tons unloaded, with a capacity to carry 4,000 tons of cargo. 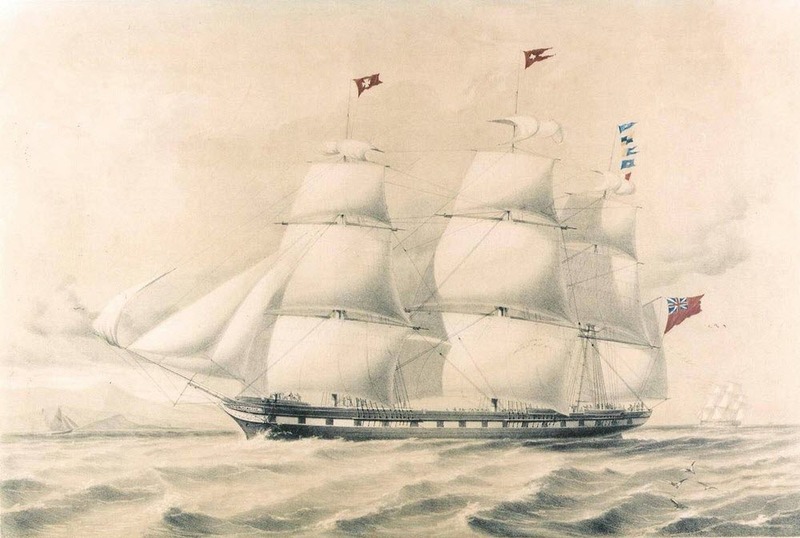 On 19 January 1854, Tayleur left Liverpool for Melbourne on her maiden voyage with 652 passengers and crew on board. She was commanded by a young Captain John Noble who despite being only 29 years of age was an experienced sailor. Tayleur’s design was new and untested, and no sea trial was conducted before her maiden voyage—she was pushed straight into service—so Noble had no opportunity to get a feel of the ship’s maneuverability. But a glance at the ship’s mast and the rudders told him that the ship would require every ounce of experience he had and some good fortune to make the journey safely. Nobel noticed that the ship’s three masts were further apart than normal, which he correctly guessed would make the ship unbalanced and difficult to handle. He also found the rudders too small for a ship of her size. The most troubling were the ship’s three compasses which all gave different readings because the ship’s iron hull interfered with their functioning. In spite of these grave shortcomings, Nobel set sail because the public anticipation around the ship was too much for his employer to ignore. The effects of the faulty compasses came into play shortly after leaving port. Nobel steered the ship towards what he believed was south, but instead took his ship west towards Ireland. The weather was wet and cloudy and the ship’s navigator was unable to sight the stars and rectify the mistake. Two days later, Tayleur ran into a storm and Nobel watched the sails “flapping and beating in a frightening manner.” Meanwhile, the ropes controlling the sail had not been properly stretched, so they became slack, making it nearly impossible to control the sails. Noble tried to work out his position using the sun, but it was too foggy. On the morning of January 21, one of the sailors sighted land straight ahead. Captain Nobel tried to steer the ship away from the sharp rocks, but as he feared, the rudder was too small to turn the ship. Desperately, Noble ordered the crew to drop anchors in the hope that it would slow down the ship, but the chains broke and Tayleur raced ahead towards the island of Lambay, about five miles from Dublin Bay, and dashed against the rocks. With the ship slowly sinking, the passengers tried frantically to get off her, but the first lifeboat that was lowered smashed on the rocks and broke. Some people were able to jump onto land and escaped. Others swung by on ropes and landed safely. Captain Noble waited on board until the last minute, then jumped towards shore and was rescued by one of the passengers. Of more than 650 aboard, only 280 survived. Of the 100 women aboard, all but three drowned. Children suffered the same fate. Of 70 children on board, only three survived. Many people have drawn parallel between the sinking of the Tayleur and the Titanic. Both were RMS ships belonging to the White Star Line, and both went down on their maiden voyages. The wreck of Tayleur can still be visited off the coast of Lambay island where it sank at a depth of 17 meters. The rusting wreckage includes substantial portion of the hull, side plates, a donkey engine and the lower mast. Some of the woodwork and several pieces of crockery were salvaged during the 1950s, shortly after the wreck was discovered. There are now on display at Newbridge House, Donabate.